Redditors and Wikipedians (is that the correct term?) in the EU might have a hard time using their favorite websites today. The reason is the EU‘s upcoming Copyright Reform, which will be put to a vote on March 26. The directive includes the controversial Article 13 that will make platforms responsible for any copyright infringement by users. This will most likely damage the openness of the internet and make it harder to operate platforms dealing with user-generated posts — possibly outlawing content like Miley Cyrus’ birthday wishes to her hubby. To make people understand how serious the effects of the Copyright Reform will be if it’s passed, Reddit and Wikipedia will hinder access to their sites in the EU to mimic the effects of the directive. Reddit announced it’ll send out a “simulated error message” to all EU desktop users attempting to make a top-level post on Reddit. Is this the world you want to live in? The message is what Reddit could be forced to send out if Article 13 is passed. The warning will appear until March 23, when demonstrations against the law will take place. Although the directive doesn’t explicitly call for ‘upload filters,’ opponents have pointed out it’s the only real way platforms can comply. If platforms are reliable for users’ copyright infringement, they need to automatically filter out possibly infringing content before it’s posted — an impossible task. 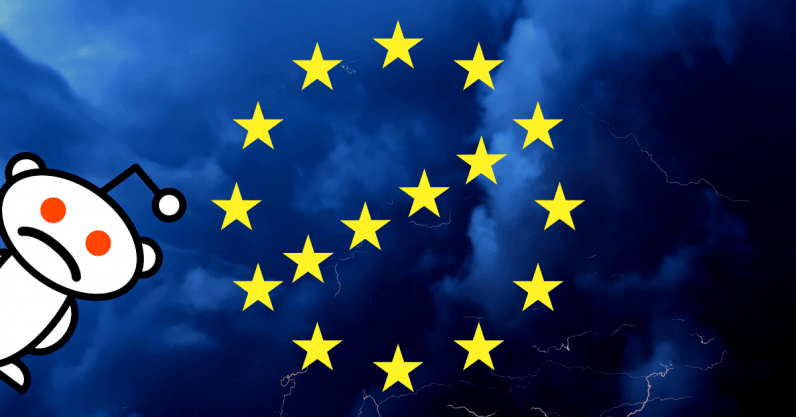 “[EU’s Copyright Reform] would create a chilling effect that penalizes smaller platforms and creators in favor of the large companies and media conglomerates that are already employing (or selling) automated content filters (to disastrous effect),” Reddit said. Wikipedia is also joining in as volunteer editor communities in four language Wikipedias — German, Czech, Danish, and Slovak — have decided to black out their sites today. A grim reminder of the seriousness of the Copyright Reform when I try to access the German Wikipedia page for potatoes. Those four language editions of Wikipedia will block all their sites for 24 hours and instead display a banner about the Copyright Reform, explaining what’s at stake for Wikipedia and the internet as a whole. The final vote that will decide whether or not the Copyright Reform will become a reality. Reddit and Wikipedia’s communities encourage everyone in the EU to take part in demonstrations on March 23 and to contact their representatives in EU Parliament before it’s too late.